Beka’s fourth generation ‘E’ Series loop powered 4-20mA indicators include models for field and panel mounting in both safe and hazardous locations. 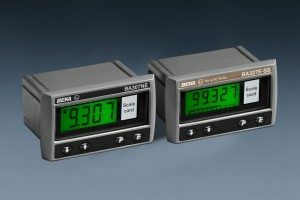 The models shown on this page are the new rugged versions housed within robust stainless steel cases designed to be panel mounted in both hazloc and general purpose applications. The BA307E-SS and BA327E-SS fourth generation intrinsically safe 4/20mA loop powered indicators have large high contrast displays with a very wide viewing angle. Operating over an extended temperature range they contain many standard features previously only available as options. Coated printed circuit boards plus extensive thermal and vibration testing provides maximum reliability supported by a three year guarantee. BA307NE and BA327NE loop powered indicators have third party Ex nA and Ex tc certification allowing them to be installed in an Ex n, Ex e, Ex p or Ex t enclosure located in Zone 2 or 22 without the need for a barrier or galvanic isolator. 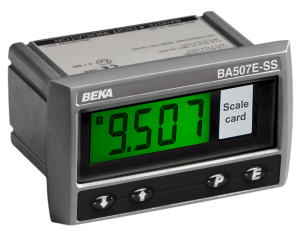 All Beka indicators are calibrated to customer requirements free of charge and can be labeled to show units of measurement, tag number, and application.